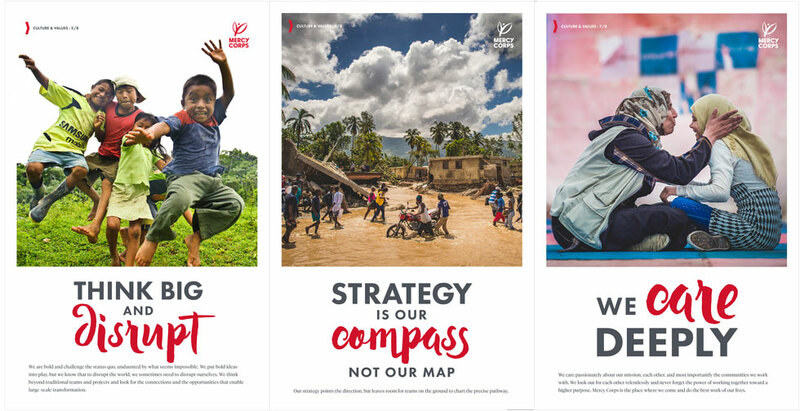 Powered by a belief that a better world is possible, Mercy Corps is a leader in global relief services. 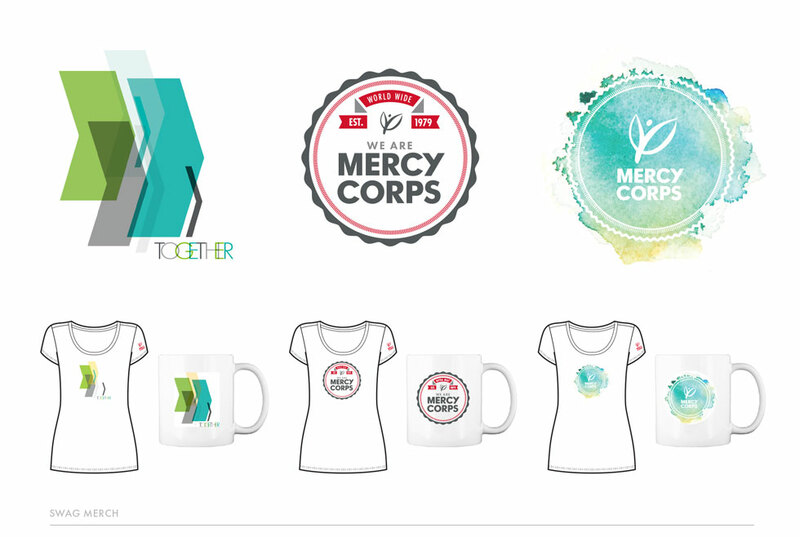 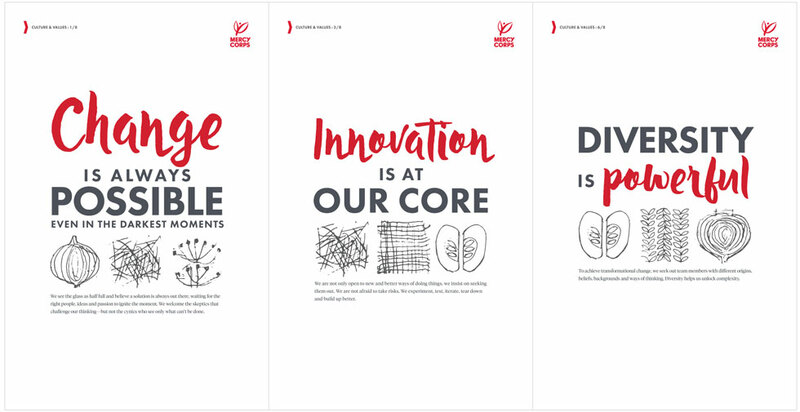 I feel lucky to be able to help out the folks at Mercy Corps with designs that help inspire, educate and motivate people to act in donating money and raising awareness. 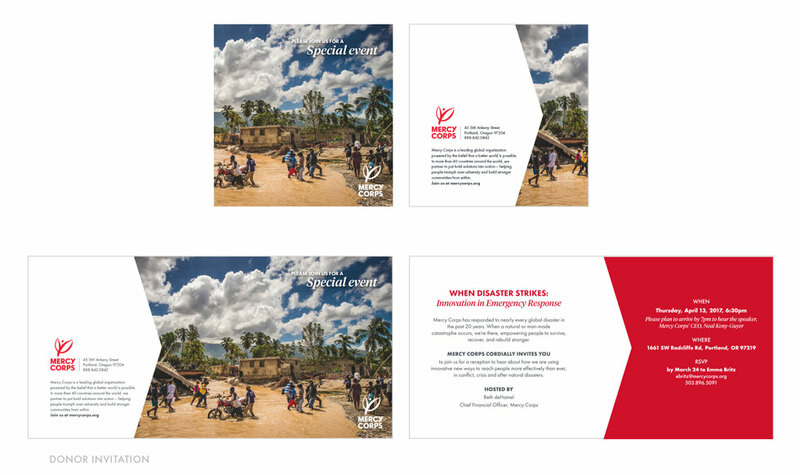 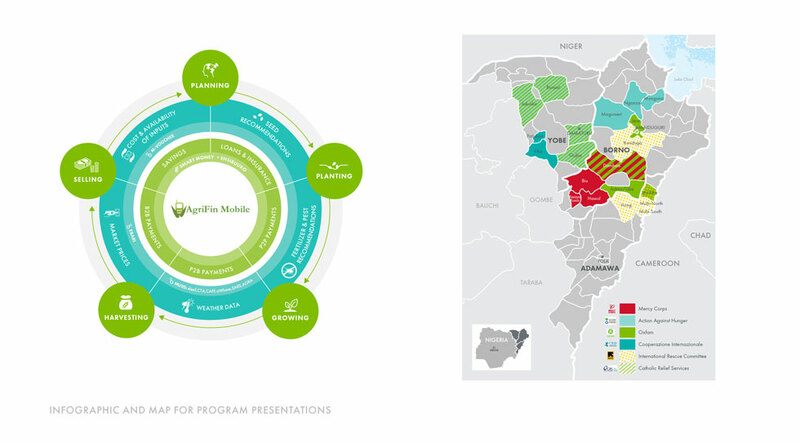 I’ve designed many reports and graphics that help get funding for programs, working with partners all over the world, in addition to working closely with the team at the headquarters in Portland, Oregon. 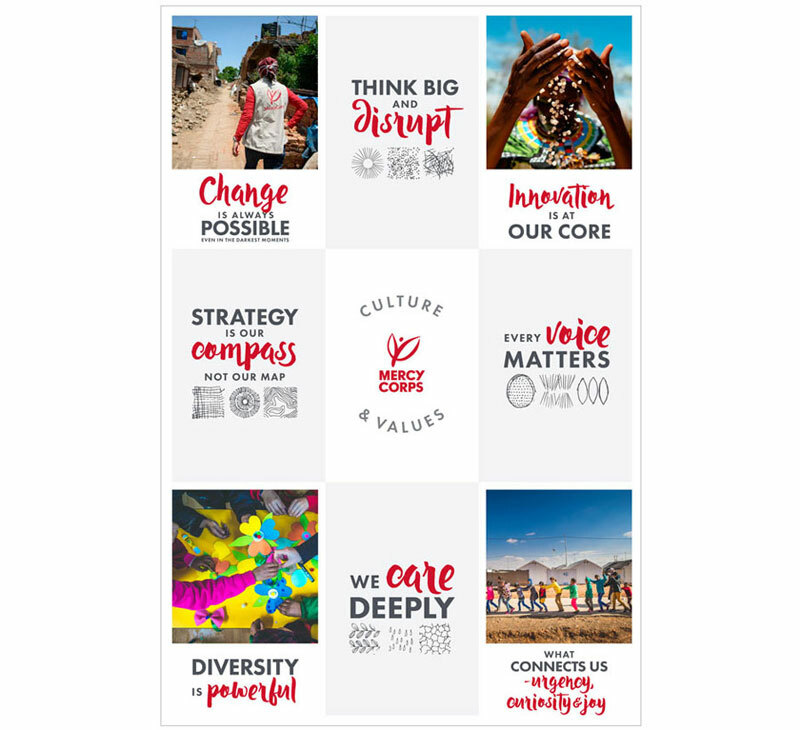 The following are a variety of projects: Cultures and Values posters, which hangs in the MC offices all over the world, swag merchandise, an invitation to a donor event, and an infographic and map to support proposals and programs.